For people with mental illness, Visiting Nurse Association of Ohio’s mental health home care team is a vital component to overall wellness. One of the biggest challenges to caring for mental health patients is ensuring they are following their doctors’ prescribed treatment plan, said Amy Silbaugh, manager of clinical development for VNA of Ohio. When physicians and therapists see patients in a hospital or office setting, they may not be seeing a true representation of how their patients are doing. The nurses and other mental health professionals who visit these patients in their homes get a more accurate view of their daily life, and they can respond accordingly, Silbaugh said. For example, patients with mental illness often do not realize or accept their diagnosis and may not take their medications appropriately. During their home visits, mental health nurses can spot if this is a problem and work with the patient, their family and physician to find solutions. “Seeing (people) in their own environment is priceless,” Silbaugh said. “You get to sit down with them, and they will hear you better because they are comfortable in their own home. It makes a huge difference because they have time to ask all the questions they want to ask. And they feel safe to ask them." VNA of Ohio nurses also are able to identify other factors in the home environment that may exacerbate a patients’ condition. They can help find ways to alter or overcome those factors, Silbaugh states. Our nurses bridge the gap between the hospital and the patient’s next meeting with their physician, she said. 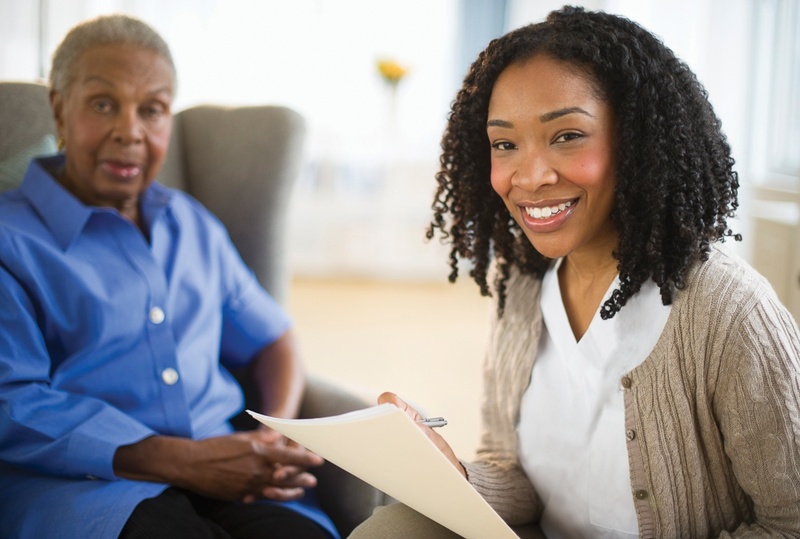 In addition to monitoring the patient’s mental health status, VNA of Ohio nurses are trained to assess their patients’ overall health to determine if they may need other care services. This holistic approach works the other way, too. Silbaugh states all of VNA of Ohio’s home care professionals – whether they are providing skilled nursing services, hospice services or simply helping clients with the tasks of daily living – are always observing patients and noting changes in their conditions, including their mental health status. A nurse might notice the patient is developing a mental health condition, such as depression, that might be secondary to their primary medical condition, she said. But, often, the home care professional’s observations also can lead to a critical diagnosis of conditions like dementia or Alzheimer’s disease. “Many times, we provide patients help for something they would not have had help for without VNA of Ohio,” Silbaugh said. Learn more about VNA of Ohio mental health services, or call us today at 1-877-698-6264.